Product for testing purposes only. 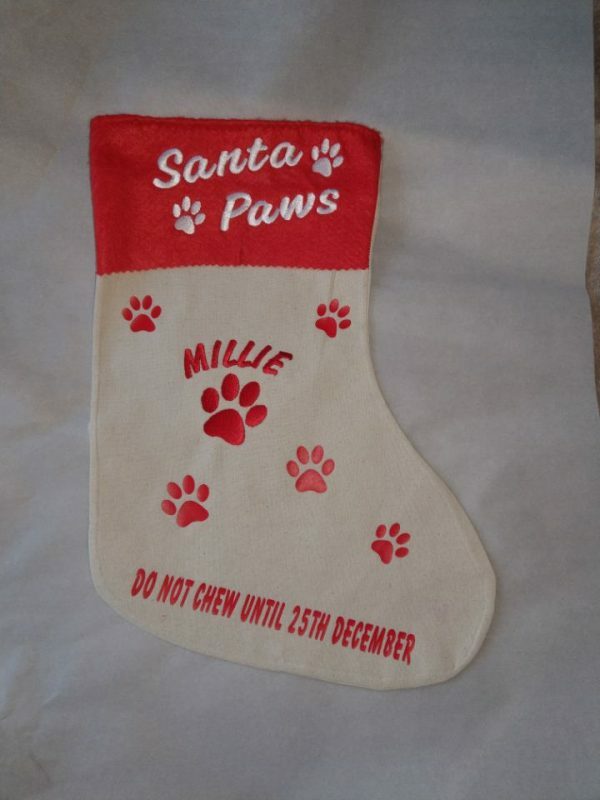 Created, designed and hand made by us this Pet Christmas stocking is the perfect way to keep your Dog or Cats Christmas presents. 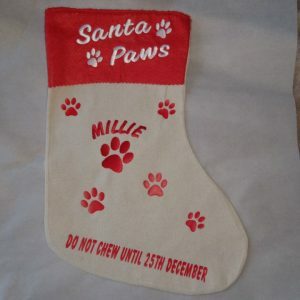 Personalised with their name and hand finished.